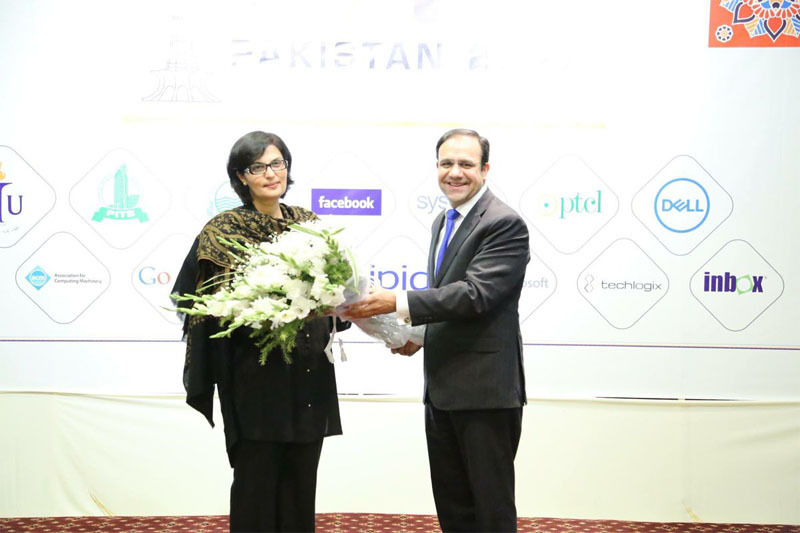 November 18, 2017: Dr. Sania Nishtar was the keynote speaker at the Information Technology for Development Conference in Lahore on November 18, 2017. Her talk was focused on the application of ICTD for improvinghealth outcomes and the manner in which ICT breakthroughs are creating new opportunities. 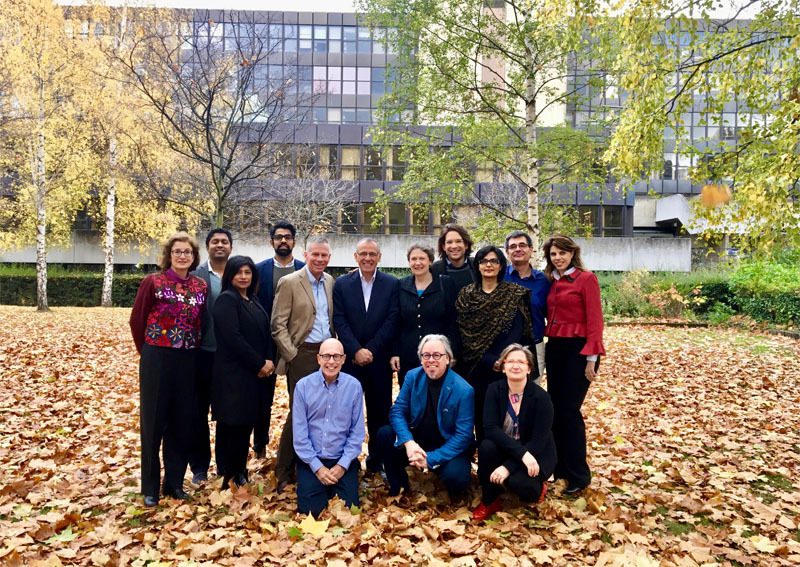 November 12: The World Economic Forum’s Network of Global Future Councils—the world’s foremost interdisciplinary knowledge network dedicated to promoting innovative thinking on the future—met in Dubai on November 11-12, 2017. This initiative comprises 35 Councils, which focus on challenges that are global in nature. The uture of Health and Healthcare is one of the Future Councils and is co-chaired by Dr. Sania Nishtar, along with Dr. Andre Goy. Both the co-chairs convened a meeting of their council in Madinat Jumeriah conference centre over the two days. 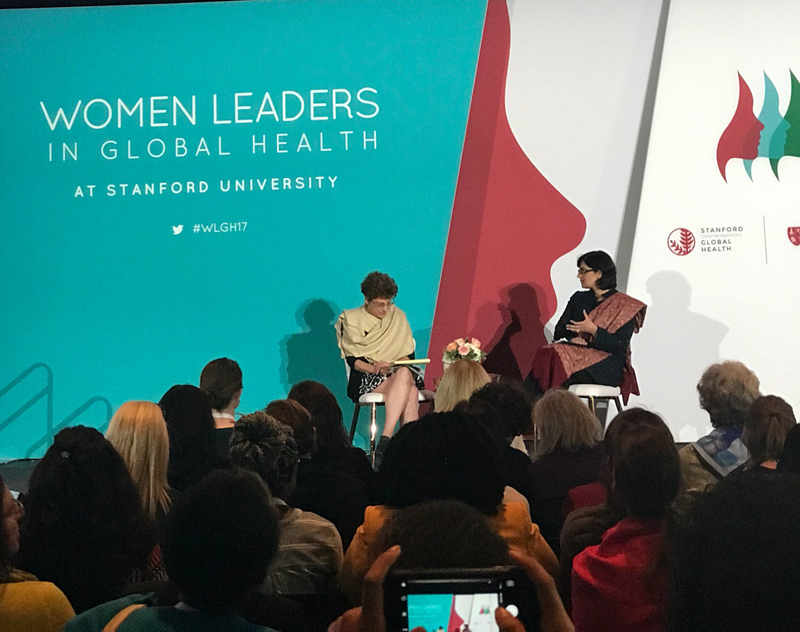 October 23, 2017: On Monday, October 23,2017, the Harvard Global Health Institute and the Women and HealthInitiative at the Harvard T.H. Chan School of Public Health, hosted a symposium on gender and the global health workforce to kick off the first-ever celebration of Harvard Worldwide Week in Boston. 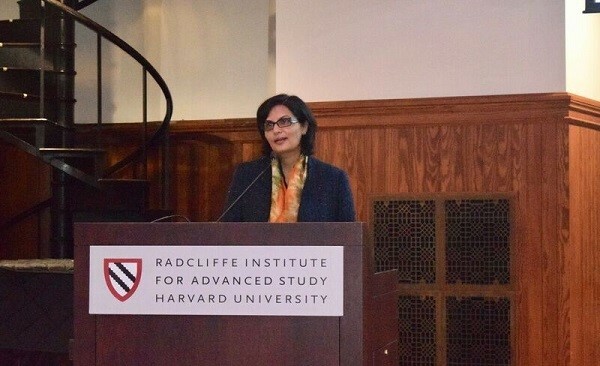 Dr. Sania Nishtar was the keynote speaker at the symposium. The text of her speech can be accessed here. 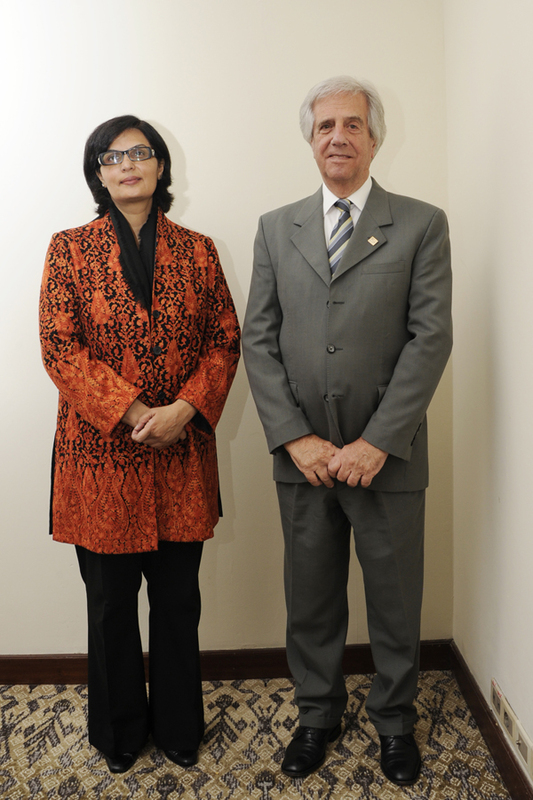 October 20, 2017: President Dr. Tabaré Vázquez of Uruguay and Dr. Sania Nishtar have been named as co-chairs of the newly established WHO Independent High-Level Commission on NCDs. Both the co-chairs met on the sidelines of the Global Conference on NCDs to discuss initial modalities of the commission. 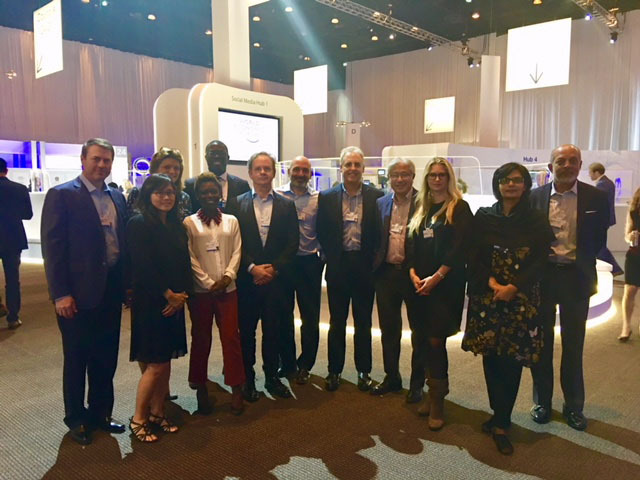 October 20, 2017: The WHO Global Conference on NCDs was recently held in Montevideo, Uruguay from 18-20 October 2017. The conference aimed to highlight the critical links between reducing premature deaths from noncommunicable diseases, promoting mental health and well-being and enhancing policy coherence across areas that impact the governance, prevention, management and surveillance of NCDs. 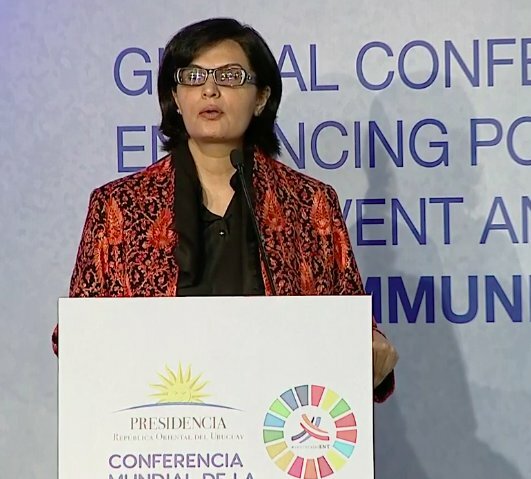 Dr. Sania Nishtar was one of the speakers in the final plenary on “The Way Forward” and spoke about the imperative innovative approaches to accelerate the response to NCDs in view of the upcoming high-level summit on NCDs in 2018.